New mouth blown art glass designed by Markku Piri, limited edition, signed series, collaboration with master blower Jaakko Liikanen until 2011,since then with the Lasismi group in Finland. Sculptural shapes that can be combined, yet retaining function as vases and bowls. 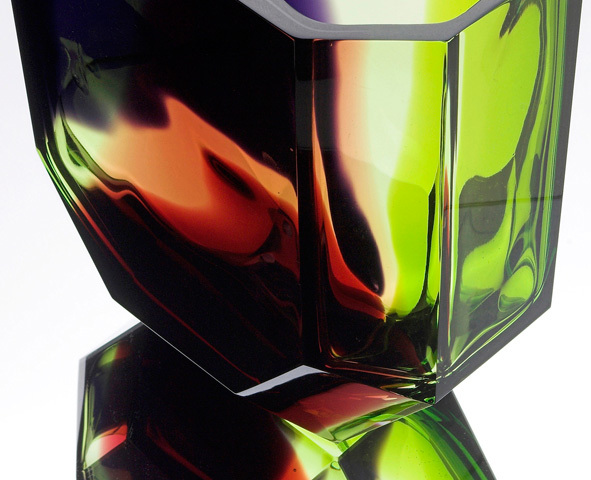 The Jewel vase in striking transparent colours, brilliantly cut and polished. Wonderful response from the “Spirit of Paradise” exhibition tour.